NOAA have changed something - metardownloadlog says "object moved" - perhaps it should now be secure (https) Brian? All good again - thanks Brian - up to date - also get the TAF downloaded too now. Thanks all for publizing the problem, sourcing the fault and fixing so promptly. Hopefully this will draw a line under this particular topic ! Brian, not working for me. LDZD.TXT or LDSP.TXT. Croatian airports...what is problem? I have latest update and cronmetardownload.exe 2.0, but it not working. Metar folder is empty. what shows in your metardownloadog.txt ? Thanks Brian! 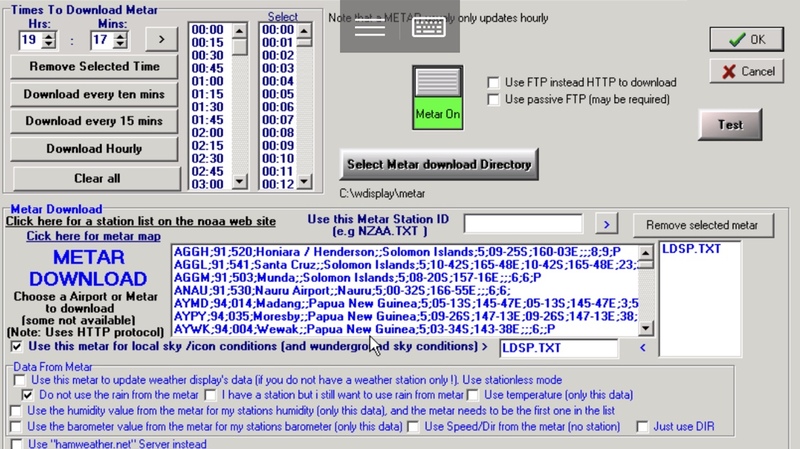 ftp download working and I have METAR data now.